These guys sound mighty interesting and mighty badass. I would love to sit with them and hear their stories. It’s a rough bunch, but I’m not sure about the Kid. His toughness could be questioned. Thanks. We ate at McDonald’s a lot, and the special sauce inspired me. And where are the mighty steeds of said gang??? They were in the parking lot. Fabulous countryside for the gang! 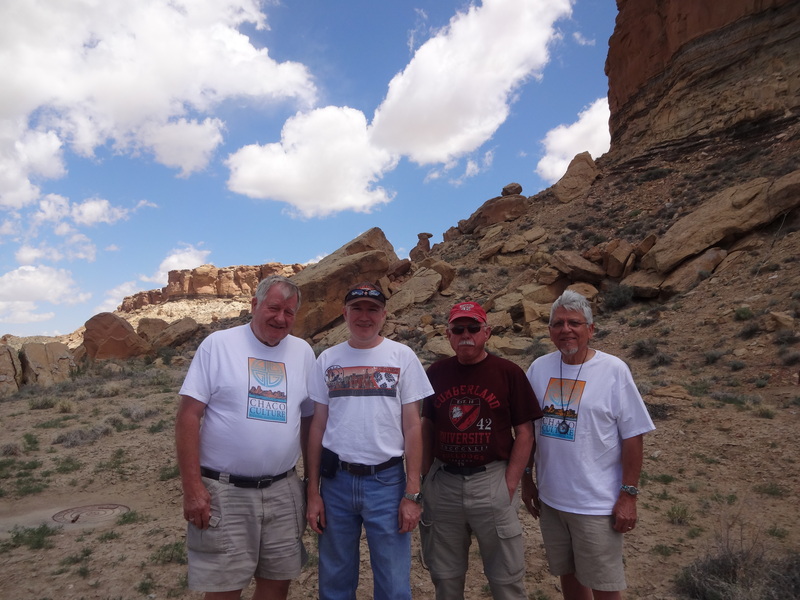 They were roaming Chaco Canyon at the time. It is a cool place. A while back, I wrote about a band of outlaws who have roamed throughout northern New Mexico. Their adventures are great, but, like other stories of the American West, those stories will eventually fade into myth and legend. They are tough men who may have seen their last ride, but their names will be remembered throughout the territory and throughout the pages of history. It looks like the wild wild west but look closer and there is an inspection chamber cover in the picture! I know. I tried everything to get a good picture without modern times creeping in. Unfortunately, some of the gang can’t get far enough down the trail.